Mladic conviction rekindles Holocaust historians’ debate on definition of genocide. One of the world’s best-known Nazi hunters, Efraim Zuroff, welcomed the punishment levied on Serbian nationalist Ratko Mladić, but called his conviction for genocide in Srebrenica politicized and unjust. Zuroff’s claim that Mladic committed atrocities, but not genocide, has exposed him to criticism by a leading expert on the Holocaust. A United Nations tribunal on Wednesday handed down a sentence of life in prison to Mladić for numerous war crimes and atrocities, including "perpetrating genocide" in the Bosnian town in 1995 when he was a leader of Serbian troops in the wars that erupted in the Balkans following the collapse of Yugoslavia. Some 8,000 Muslim men and boys were killed there by Mladić’s troops, who allowed nearly all the women to leave. 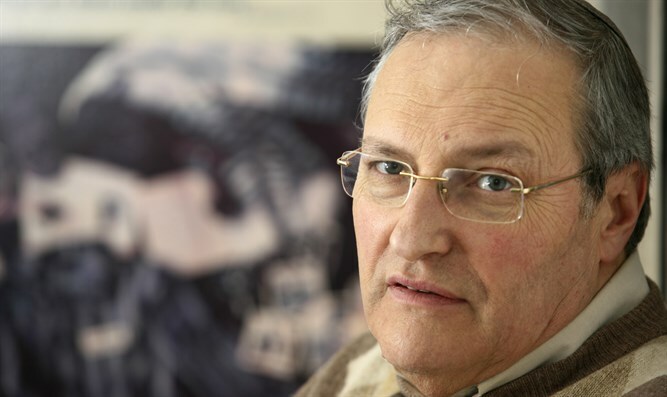 Zuroff, an Israel-based historian of the Holocaust who is the Simon Wiesenthal Center’s director for Eastern Europe and has led efforts to prosecute dozens of Nazi war criminals, welcomed the punishment given to Mladic by the three-judge panel at the Hague-based court. The court is formally known as the International Criminal Tribunal for the Former Yugoslavia. “What happened at Srebrenica was a terrible and murderous war crime and a tragedy for which Mladic and all other responsible should receive the maximum legal punishment,” Zuroff told JTA. “But it wasn’t genocide,” he added, citing the sparing of the women and girls. Menachem Rosensaft, general counsel of the World Jewish Congress and a lawyer who teaches about the law of genocide at the law schools of Columbia and Cornell universities, defended the verdict in an op-ed he published Wednesday in Tablet Magazine. The verdict was “politicized” as was the indictment against Mladić, charged Zuroff. He said the United States sought to convict Mladić of genocide for political reasons after failing to recognize the Rwandan genocide as such in time. The court convicted Mladic on 10 of 11 counts, acquitting him of the charge of genocide in Bosnian municipalities outside Srebrenica. He also was convicted of targeting civilians in bombing conducted by his troops of the Bosnian capital of Sarajevo. Mladić was seized by Serbian police in 2011 near Belgrade and flown to The Hague to face trial. Rosensaft, who has clashed with Zuroff publicly before in the wake of Zuroff’s criticism in 2015 of the genocide charge against Mladic in Srebrenica, again dismissed Zuroff’s argument in the op-ed, calling Zuroff and others who do not regard the Srebrenica massacre as genocide “wrong” from a legal point of view. And the courts, Rosensaft wrote, “have spoken clearly and unambiguously.” Zuroff disagrees.